If you have ever wondered what your garden gnomes get up to when you aren’t looking, Incredible Technologies just may have the answer. Their new pokie, Victory Garden is focused primarily on garden gnomes and their extracurricular shenanigans. 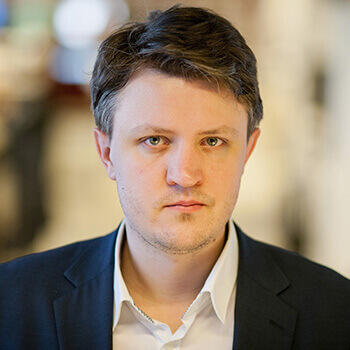 Incredible Technologies is usually focused solely on the land based gaming market, porting their better games to online casinos, but recently they have added some extra effort into their conversions. A prime example would in their HTML 5 port of Astro Cat, which was upgraded to Astro Cat Deluxe with the help of developer Lightning Box. Incredible Technologies added Lightning Box’s Sky Wheel feature to bolster the bonuses of their game. Victory Garden does not include any third party features but instead it offers IT’s Snail Blazers progressive jackpot. It can be won by winning the incredible snail races available to players lucky enough to win the Pinwheel Bonus round. The snail racing bonus game features 3 jackpots for the first three positions in the race. You pick a rider and a snail to race with. You spin a wheel to determine how many spaces you move on the race track after which the other racers do the same. If you are playing this game at Max Bet, you are guaranteed one of the progressive prizes. The only way to get to the Pinwheel Bonus game that activates the progressive round is to fix the water pipe on the right hand side of the reels. This water pipe is connected to the garden gnome’s irrigation system. If you restore the water flow, it will not only spin the pinwheel, but it will also start watering your reels with special sprinkler wilds. 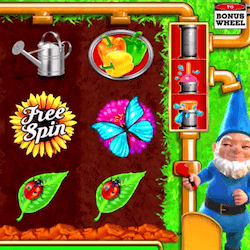 There are also free spins to be won in Victory Garden. They are awarded at random. You will occasionally see a gnome gardener walk over the reels, planting seeds. These seeds will immediately blossom and either flower with cash prizes or with free spins. Incredible Technologies rarely publish their RTP’s and Victory Garden does not have one, but from previous experience their RTP usually hovers between 94% and 95%. The progressive features are quite tempting and most of the rewards here are triggered at random, but definitely try this slot before you make real money wagers. It’s fun theme may be just what you have been looking for in your online slots.